In the past several months, Anastasia Beverly Hills has collaborated with some amazing makeup artists to release eye shadow palettes like the Amrezy and Maya Mia palettes. Most recently she collaborated with celebrity hair and makeup artist Tamanna Roashan (@dressyourface) to create the Tamanna Palette. 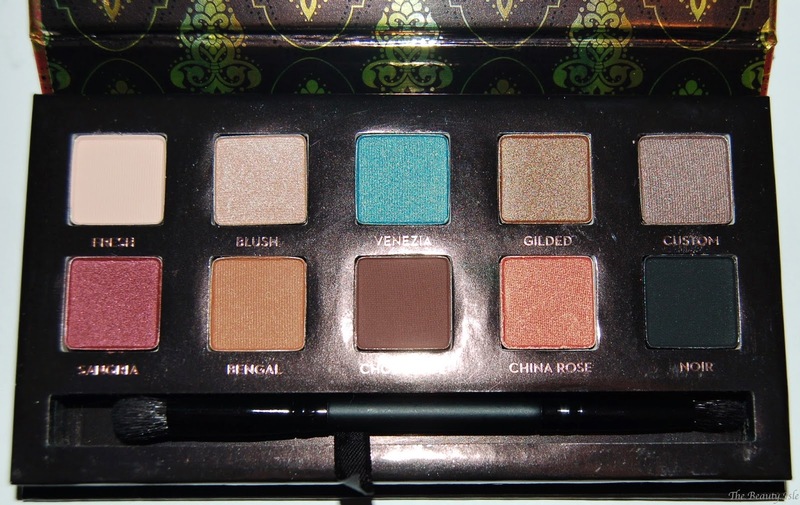 I saw photos of this palette and actually wasn't even very excited about it. 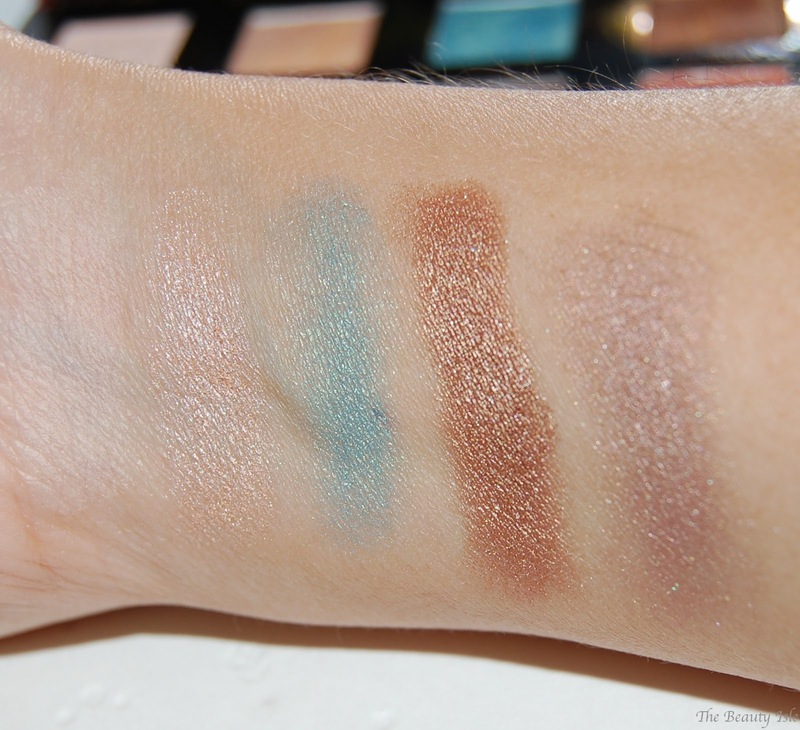 That is until I was in a Sephora and swatched it and discovered how gorgeous the eye shadows are! 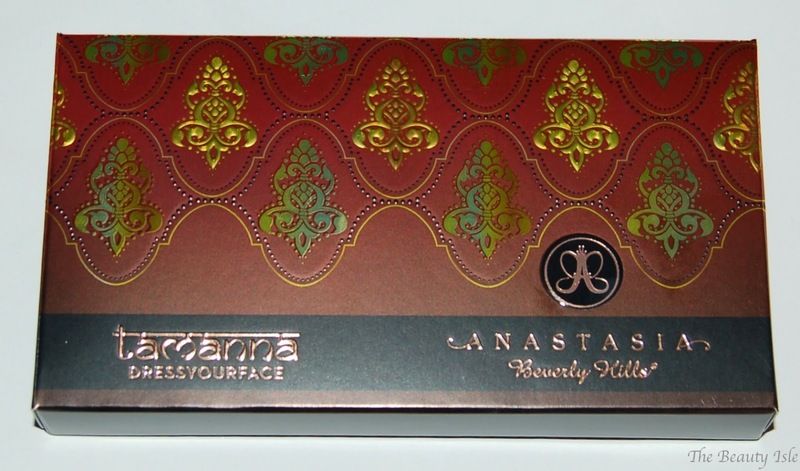 Let's start with the packaging...I love the Mediterranean ethnic look of it. The mix of red and gold is beautiful. 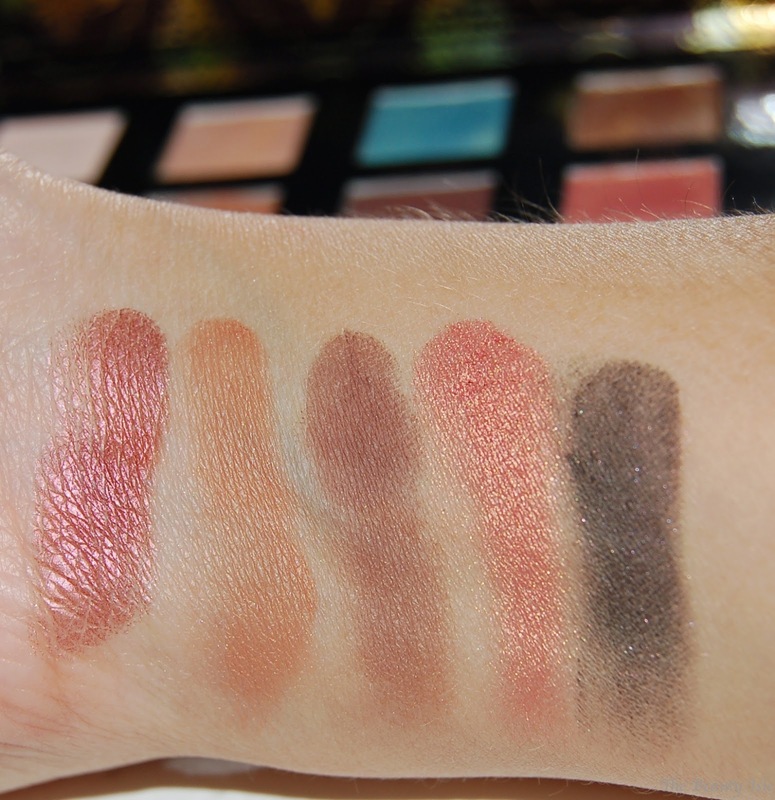 This palette includes 10 shadows, 3 of which are matte (Fresh, Chocolate, Noir). 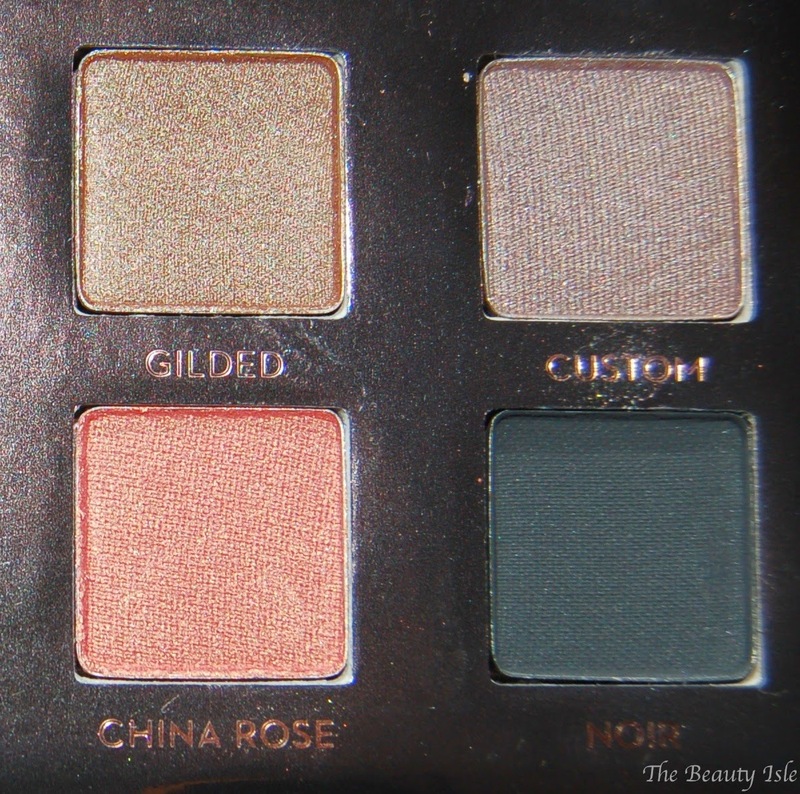 There are enough neutrals in this palette to be able to create a complete eye look. 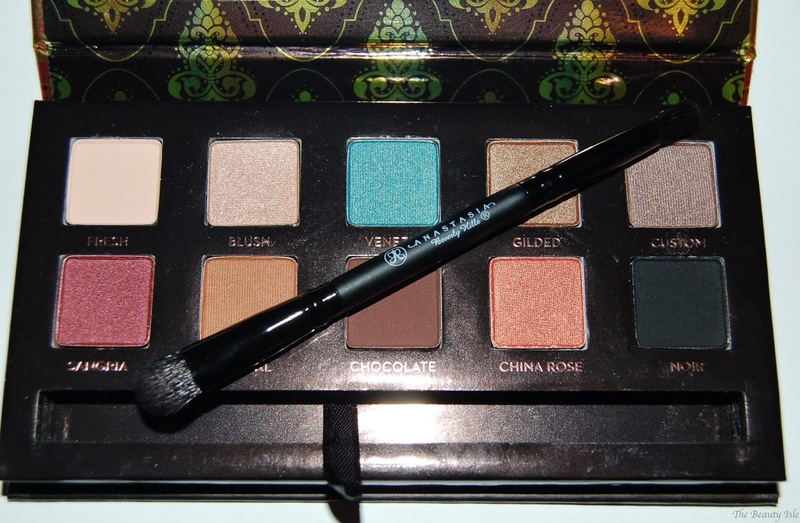 Also included in this palette is a nice double-sided brush. Let's take a closer look at each side of the the palette. 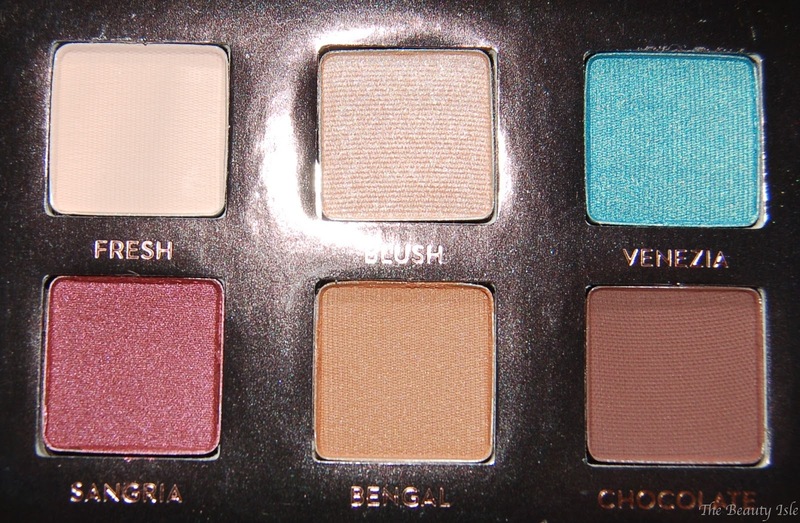 Fresh (first shadow on the top row) barely shows up on me but all the other shades are gorgeous perfection. My favorite is Sangria but I also love Venezia and China Rose. This palette retails for $29 which is an amazing price for a palette with 10 great quality shadows! Right now you can still buy it online at Sephora but I doubt it will be available for long. In fact, when I checked Sephora online shortly after I put this order in, it was sold out for a little while. If you want this don't wait because it will surely sell out again very soon! 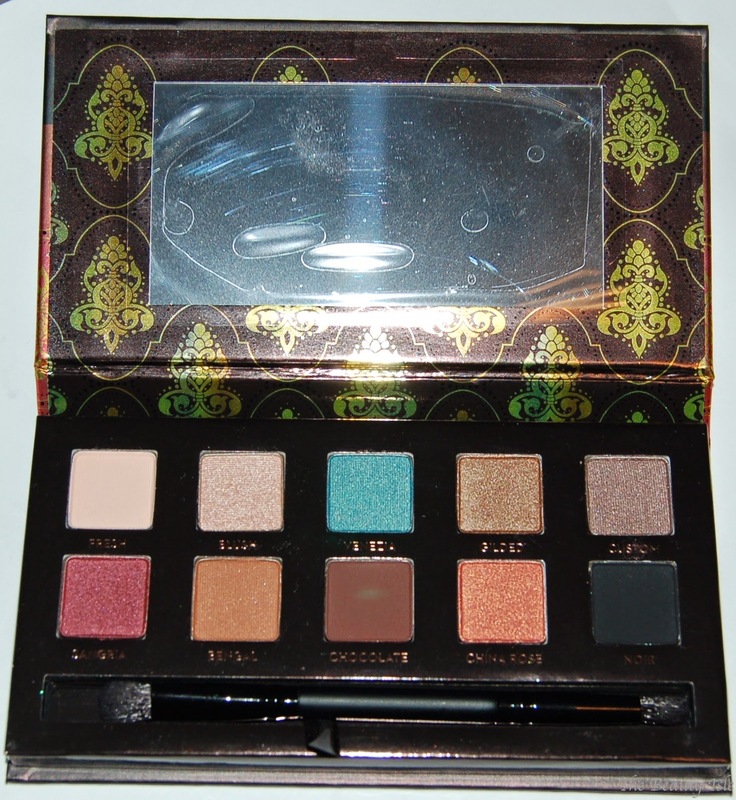 Do you have any of the Anastasia Beverly Hills palettes? Have a fun and safe Halloween everyone!